Even your best friends start to disappear when you’re preparing for a move. Something might come up, another obligation might get in the way, and some might make up a fake excuse. Good movers always arrive on time. They don’t cancel on you. Best of all, they come with their own moving supplies, including dollies, blankets, and everything else you need. I’m not saying you have bad friends, but movers are way more reliable. Most moving companies automatically provide insurance as part of the job. That means your possessions are covered in the unlikely event of losses or damages. 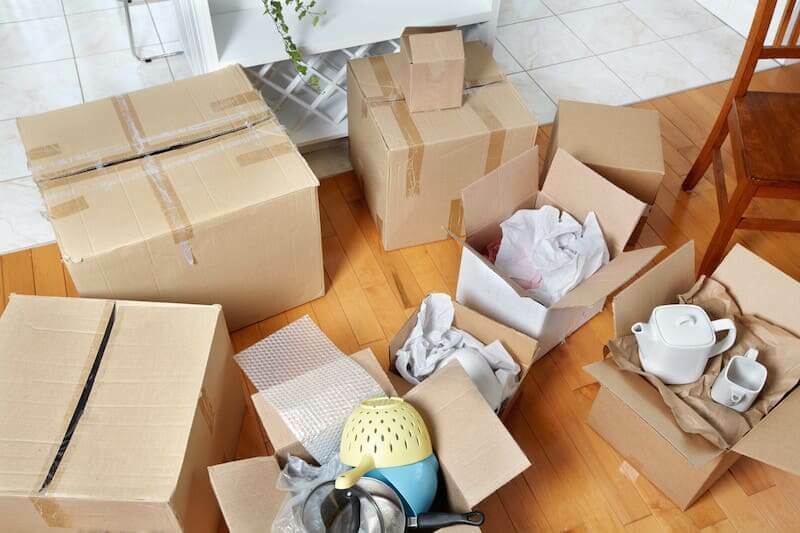 Typically, moving companies will have base insurance as part of every contract and then offer additional insurance options available for an extra cost. Talk to your moving company to find out how their insurance policy works. Ask if the moving company has full value protection (which is the best type of insurance), for example, or just valuation (which isn’t even classified as insurance). When you move your own possessions for free, you don’t get moving insurance unless you specifically buy it (and most people don’t). This can leave you with thousands of dollars in losses if you get in a car accident, if your car gets stolen, or if some of your stuff gets broken during the move. Professional moving companies are almost always your best option when you’re moving from state to state. The only time you should question whether or not to work with professional movers is if you’re moving across town. Professional movers work great for state to state moves because moving companies maintain nationwide networks that you can use to make your move more efficient. Sacramento movers, Fuller Moving Services, is part of North American Van Lines. That means your move is backed up by a worldwide network of resources, including all of that company’s third party partnerships, their remote logistics team, and specialized fleet capabilities. All of these things mean your move is more likely to go as planned. There are way too many benefits to count when you’re working with professional movers. Fuller Moving Services, for example, has been in the business for more than 50 years. Fuller Moving Services doesn’t just move things for a living today: they’ve moved things for their customers for generations. Over the years, they’ve built up specialized knowledge and skills they can use to make your move go as smoothly as possible. The next time you move, you can have all of this experience on your side. Get a quote today by filling out this easy contact form.